Woohoo! Welcome to day 3, my friends. 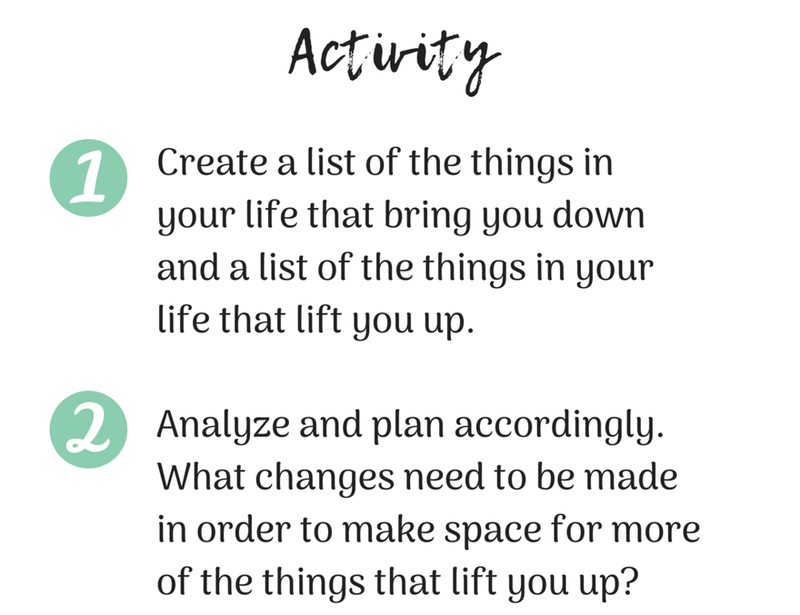 There are many different areas to explore when identifying what may be affecting your goals of creating more self-compassion. 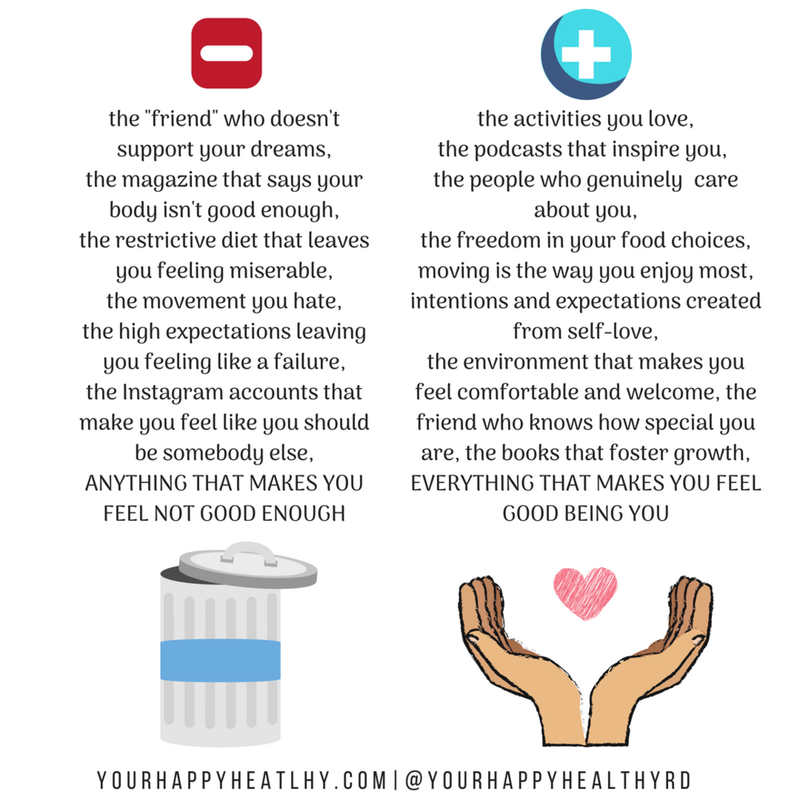 Everything from the people you surround yourself with to your relationship with food and your body affects your self-compassion. Let's explore this through an example. Think about the relationships you have in your life, from your closest relationships with friends and family to the acquaintances at work and the grocery store. Now think about how these relationships make you feel....do these relationships lift you up or bring you down? Some of these relationships may be great for your self-compassion, making you feel very loved and very special while others may make you feel unworthy or not good enough. Some other areas to explore are listed below. 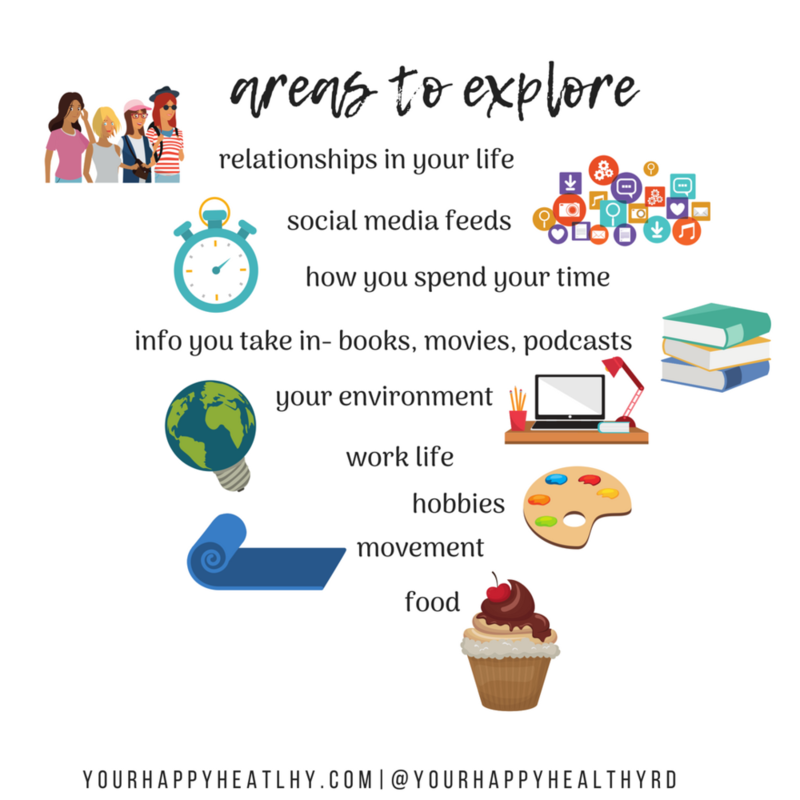 After exploring these areas, think about which areas need some decluttering to make room for those things that support self-compassion. Good luck and happy decluttering! May you feel a ton lighter after you dispose of those that do not serve you.